ESCONDIDO, Calif.—On Feb. 8, composer Daniel McGuire attended a Chinese music and dance performance for the first time in his life at the at California Center for the Arts. “It was something that I wanted to see, and I didn’t really know if I could actually get here, so I’m really glad that I did,” said McGuire. However, Shen Yun Performing Arts is not an ordinary performance. It’s the only performing arts company of its kind, with the mission of reviving the 5,000 years of traditional, divinely-inspired Chinese culture, which was once almost lost. 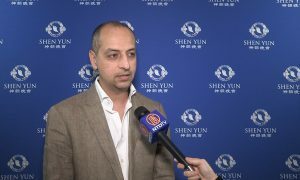 Through classical Chinese dance, ethnic dances, a full orchestra, vibrant costumes, an interactive digital backdrop, musical soloists, and both ancient and modern Chinese stories told through these mediums, Shen Yun has delighted fans across the world since its inception in New York in 2006. 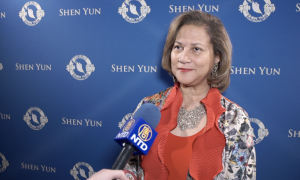 As a piano composer, McGuire was fascinated with Shen Yun’s seamless mixture of Western and Eastern sounds in the orchestration, which was “not something that a normal American composer would know how to do,” said McGuire. Shen Yun features a number of traditional Chinese instruments, including the stringed pipa and erhu, the suona double reed woodwind instrument, and the gong. Composing the music for such instruments requires an intimate knowledge of each individual sound. But the composers of Shen Yun clearly understood classical symphony orchestration just as well, McGuire added. “They did a great job. 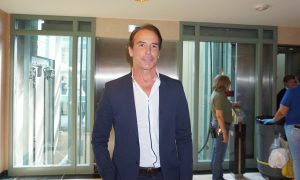 It was very interesting to listen to,” he said. 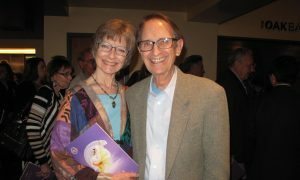 However, what really stood out to McGuire was the unique costume of a certain dance piece: the long, flowing sleeves of Shen Yun’s women dancers that are rhythmically tossed high into the air and flutter back to Earth in time to the music. “I like to watch the girls, how they do the steps, how they can just flow across the stage, and they don’t move their heads. They don’t move their shoulders. They just move their feet. So it is very, very interesting,” he said. The evening performance also had an educational aspect to it, said McGuire, with both the emcees, and the vocal soloists using the Mandarin Chinese language, which is also something the composer rarely gets to hear. The vocal soloists’ lyrics are also displayed in both Chinese and English on the backdrop of the stage. “So this is very educational for us. We can see a Chinese show and not have to go to Shanghai. So it’s great,” he said. 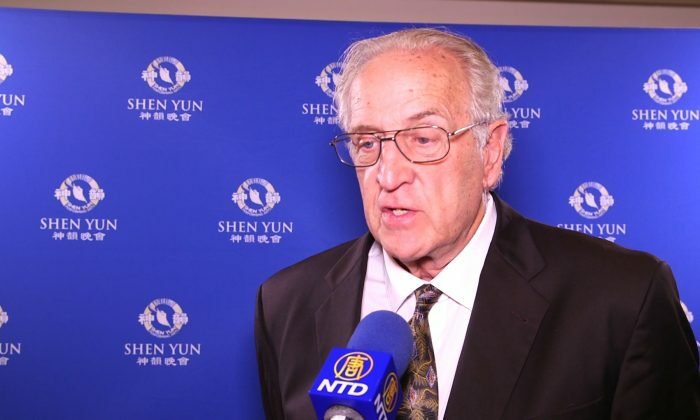 McGuire said he couldn’t understand why Shen Yun is not able to perform in China today. 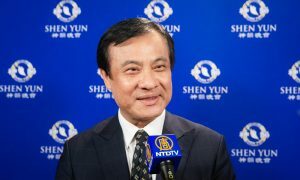 He hoped the president of the United States and other government representatives, as well as Chinese diplomats, would soon be able to attend a Shen Yun performance. “It’s fabulous. They should show this in China. I don’t know why the government won’t show it there. But I would think that they would be extremely proud of this,” he said. McGuire also addressed the deeply spiritual aspect of traditional Chinese culture displayed within the performance, which he said reflected a universal longing for the divine. 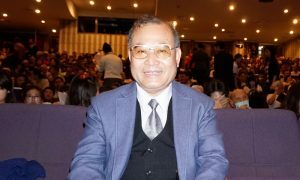 “It doesn’t necessarily match my belief, but I know that everybody is looking for heaven, so it shows an international longing for God, and hopefully God will answer their prayer,” he said. 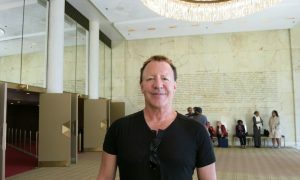 Finally, he hoped others would have the opportunity to witness a Shen Yun performance sometime in their lives. With reporting by NTD Television and Sarah Le.